Why use a real estate buyers agent? There are many good reasons to use a property buyers agent. A buyers agent works exclusively for the buyer, whereas the selling agent works for the vendor (seller). Real estate is a major investment, yet many people purchase property without any professional assistance. By using a buyers agent you will be getting expert guidance to help you buy the best available property at the best possible price. It will also create a level playing field as the vendors are usually represented by a selling agent, and we know how to handle them and interpret their strategies because many of us started out in real estate as selling agents. Most people seek the advice of an expert when they invest. Look at shares and managed funds, for example. Why should property be any different? The analysis, access to performance data, and negotiation expertise that a buyers’ agent can bring can have a huge impact on the success of the transaction. Is it worth using a buyers agent? I am thinking of using a buyers agent, where do I start? Not all buyers agents are equal, so we want to encourage you to investigate getting expert help. The first port of call is to look for property buying agents who are accredited members of the respected national body – Real Estate Buyers Agents Association of Australia (REBAA). 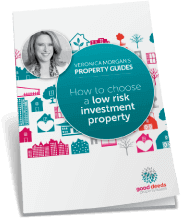 If you are looking at buying an investment property, you should also make sure they are a member of The Property Investment Professionals of Australia (PIPA). Of course we would love it if you simply shortlist Good Deeds Property Buyers! But since we also advocate doing your homework, we have come up with two questionnaires that will help you sort out the wheat from the chaff. One is for interviewing prospective buying agents, and the second is for reference checking them with past clients. Click here to download. What happens once I engage your services? The first thing we need to do is get the buyer agency agreement sorted out and complete your wish list (if you are retaining Good Deeds Property Buyers to conduct your property search), and you will need to pay an engagement fee. Then we start the property search and keep you posted on progress until we find a suitable prospect and commence due diligence. We will then see the purchase through to completion (unless we discover something that causes us to warn you off it!). This is our Comprehensive Search Service. You will start by signing a buyer agency agreement and paying an evaluation fee. Then we will inspect the property, conduct our pricing research and develop a purchasing strategy. If you are keen to proceed after receiving this information, we will continue the due diligence and complete the negotiation process, including bidding at auction if appropriate. For more information on all our Search Services, click on this link. What if I love looking for property myself but need help to determine what to pay and how to negotiate? Many of our clients do enjoy inspecting properties for themselves, and we understand that! We offer an Individual Property Evaluation and Negotiation Service for people who find a property and would like our expert evaluation. If it’s a good one, we’ll also handle the negotiations, including bidding at auction. Are buyer’s agents just for wealthy clients? It’s a common misconception that the only people who use buyers agents are wealthy. Our clients come from a wide variety of backgrounds and income groups. Good Deeds Property Buyers will save time, money and heartache for a broad range of clients. Tell us your needs and we’ll recommend a service to suit your requirements and budget. 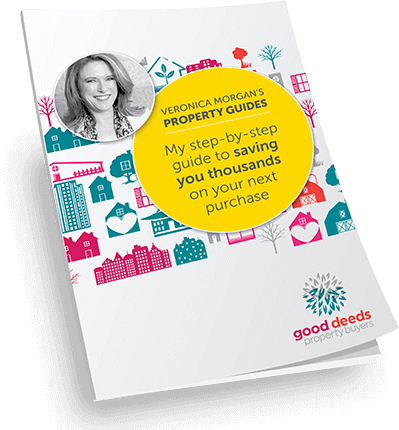 If I use Good Deeds Property Buyers will you guarantee to find me a property? The wonderful thing about our Getting Started Session is that we will both know at the outset if your expectations are unrealistic. We will then show you what the possibilities are for your search and you can decide yourself whether you want to proceed. We are in the business of sourcing and securing the best property within your means and timeframe. Once you engage Good Deeds Property Buyers, we will continue the hunt until you have secured the best possible property at the right price. An average property search project takes around 2 months, however market conditions are beyond our control and no brief is by any means typical, so we do not impose a time limit on our Comprehensive Search Service. You can be assured that you will never be pressured to buy. You will buy when we have found the right property for you. Are buyers’ agent’s fees tax deductible? If you are buying property for investment, some buyers agent fees could be tax deductible. Check with your accountant for advice specific to your situation.